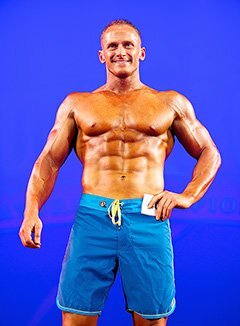 Amateur Bodybuilder Of The Week: Scott Built Major Muscle! 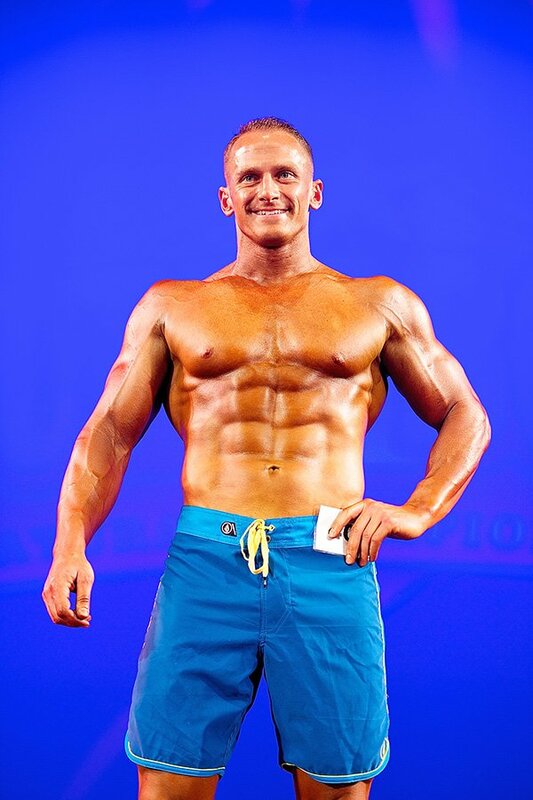 Scott's inspired by old school physiques and respects competitors who take the natural path. See how intense training sessions fuel his competitive nature! I first started lifting weights in middle school because I was overweight and got teased a lot. 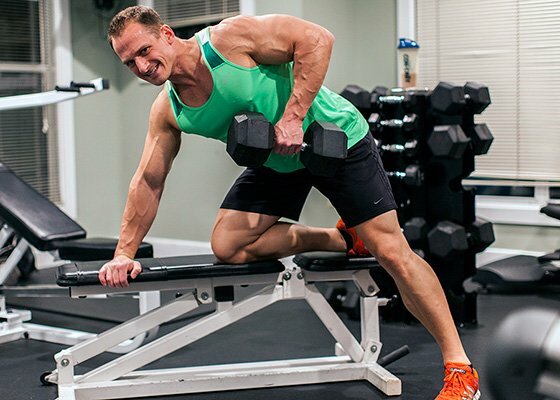 My father bought my first bench press with a leg extension attachment when I was 13 years old. My older brother played high school football at the time and also inspired me. I worked out with his team and out-squatted some of the freshmen and sophomores. When I began to see my body morph, I was instantly hooked. During a three-year span, my body changed dramatically and I was regularly asked if or when I was going to compete, but I never thought I was ready. I wanted to put my absolute best body on display. This year, my girlfriend signed up for the 2013 Superbody weekend in Atlantic City, New Jersey. It was her first show and we thought it would be great to do it together, but I was hesitant. I didn&apos;t register for the show until four weeks out. The thought of stepping on stage and flexing in posing trunks for a room of strangers didn&apos;t sound appealing. But she pushed me to bring my best and instilled confidence in me that I haven&apos;t had in a long time. "I took on bodybuilding to fine-tune my body." I aim to achieve the perfect physique naturally. I&apos;m my toughest critic and compete against myself. I&apos;m fascinated by little tweaks in training and diet that make big impacts on my development. When I finished lifting for sports, I took on bodybuilding to fine-tune my body. I love the old school guys like Eugene Sandow, Steve Reeves, Reg Park, Bill Pearl, Arnold, Frank Zane, Lou Ferigno, and Sergio Oliva. The new guys are inspiring, too, but I prefer the old school aesthetic look. My amazing girlfriend, Melissa, pushed me to compete in the first place and deserves credit also. I&apos;m constantly looking for new workouts online to energize and motivate me. One of those places is Bodybuilding.com. People like Layne Norton, Armi Legge, Tom Venuto, Darin Steen, Everett Ketelhut, and my trainer, Rob Knox, inspire me. They think outside the box and do their research. I want to keep competing on the natural bodybuilding circuit and see how far I can push myself. I would eventually like to become a natural pro. Don&apos;t make excuses. Move your body. It doesn&apos;t matter where you are, just get it done. Focus on nutrition. It&apos;s 80 percent of the game. Read labels and stick to serving sizes. Invest in a food scale. Your muscles react to the macronutrients you fuel them with. When you figure out what works for you, the sky is the limit. Steve Reeves is my favorite. He was the Arnold of an earlier era. He brought bodybuilding and the muscular male physique into the international spotlight. I also admire Arnold for his dominance in his era and his accomplishments in life. I always read articles on workout routines and nutrition to the point where I consider myself a student of bodybuilding. Bodybuilding.com has some of the best prices on nutritional supplementation too.